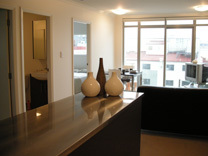 Modern PENTHOUSE studio apartment with all you require. Just bring your bags and settle in. A stone's throw from retail, theatres, bars and more....Short or long term stays optional. Furnished with all you require. This apartment even has it's own laundry facilities and stainless steel kitchen. 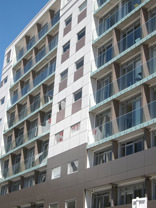 Enjoy the convenience of the Courtenay Quarter being only steps away. Offering a more homely feel than a hotel. Reside in this stylish apartment. We will accommodate almost any stay. Style with City views. Open plan kitchen and living with pleasant sun. What more could you ask for in an inner city apartment? Available now. 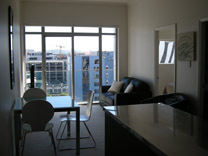 Sunny two bedroom apartment located in Holland Street. 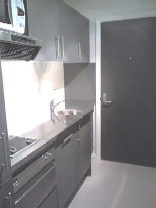 Enjoy cooking dinner in the stainless steel kitchen or dine out in one of Wellington's many restaurants. Only minutes from Courtenay Central. We will accommodate almost any length of stay and do our best to meet your requirements.